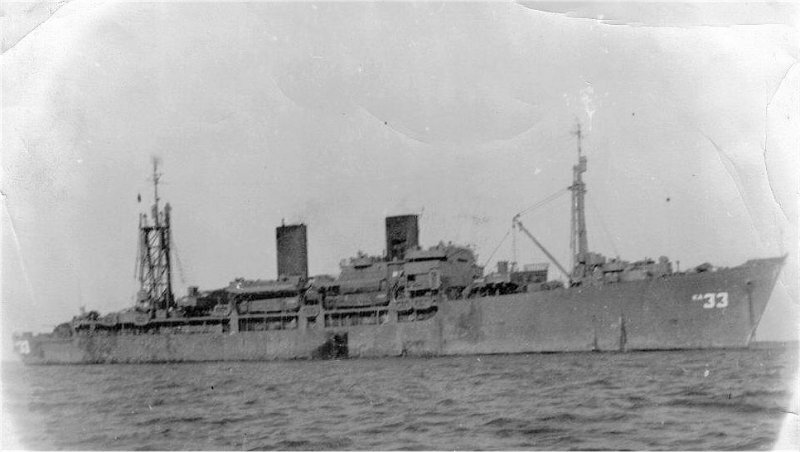 Laid down, 13 October 1944, as a Maritime Commission type (S4-SE2-BE1) hull, under a Maritime Commission contract (MC hull 1894) at Welsh-Kaiser Co. Providence, R.I. Returned to the War Shipping Administration, 26 June 1946, for lay up in the National Defense Reserve Fleet, James River Group, Lee Hall, VA. Final Disposition, sold for scrapping, 10 April 1966, to Horton Industries, Inc.
53k USS Ostara (AKA-33) at anchor, circa early 1945, location unknown.